From the last Monetary policy RBI has started publishing Post Policy Conference Call with Researchers and Analysts providing transparency. There are a lot of questions on the interest rates including MSF, LAF and OMOs. With reference to the above lets focus on The “term structure” of interest rates refers to the relationship between bonds of different terms. When interest rates of bonds are plotted against their terms, this is called the “yield curve”. Economists and investors believe that the shape of the yield curve reflects the market’s future expectation for interest rates and the conditions for monetary policy. Usually, longer term interest rates are higher than shorter term interest rates. This is called a “normal yield curve” and is thought to reflect the higher “inflation-risk premium” that investors demand for longer term bonds. When interest rates change by the same amount for bonds of all terms, this is called a “parallel shift” in the yield curve since the shape of the yield curve stays the same, although interest rates are higher or lower “across the curve”. A change in the shape of the yield curve is called a “twist” and means that interest rates for bonds of some terms change differently than bond of other terms. A small or negligible difference between short and long term interest rates occurs later in the economic cycle when interest rates increase due to higher inflation expectations and tighter monetary policy. This is called a “shallow” or “flat” yield curve and higher short-term rates reflect less available money, as monetary policy is tightened, and higher inflation later in the economic cycle. When the difference between long and short-term interest rates is large, the yield curve is said to be “steep”. This is thought to reflect a “loose” monetary policy which means credit and money is readily available in an economy. This situation usually develops early in the economic cycle when a country’s monetary authorities are trying to stimulate the economy after a recession or slowdown in economic growth. The low short-term interest rates reflect the easy availability of money and low or declining inflation. Higher longer term interest rates reflect investors’ fears of future inflation, recognizing that future monetary policy and economic conditions could be much different. 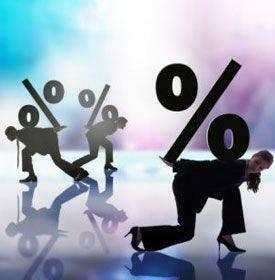 Tight monetary policy results in short-term interest rates being higher than longer term rates. This occurs as a shortage of money and credit drives up the cost of short-term capital. Longer term rates stay lower, as investors see an eventual loosening of monetary policy and declining inflation. This increases the demand for long-term bonds which lock in the higher long-term rates. Economists and financial academics have developed theories to explain the shape of the yield curve. The “expectations” theory states that since short-term bonds can be combined for the same time period as a longer term bond, the total interest earned should be equivalent, given the efficiency of the market and the chance for arbitrage (speculators using opportunities to make money). Mathematically, the yield curve can then be used to predict interest rates at future dates. The “segmentation” theory explains the shape of the yield curve by investors’ term preferences. Some investors need to deploy their funds for specific periods of time, hence a preference for long or short-term bonds which is reflected in the shape of the yield curve. An inverted curve can then be seen to reflect a definite investor preference for longer term bonds. With powerful computers and mathematical techniques, investors and academics are constantly striving to build models which explain the shape of the yield curve and hopefully provide insight into the future direction of interest rates. This has given rise to “yield curve” strategies which are employed by bond managers to add value to their portfolios.